Thousands of Chinese Army Veterans March Over Police Beatings | C.O.B.P. Authorities in the eastern Chinese province of Shandong have sealed off a city after thousands of People's Liberation Army (PLA) veterans converged there over a weekend of protests and clashes over police beatings of their former comrades-in-arms, local activists and residents told RFA on Monday. 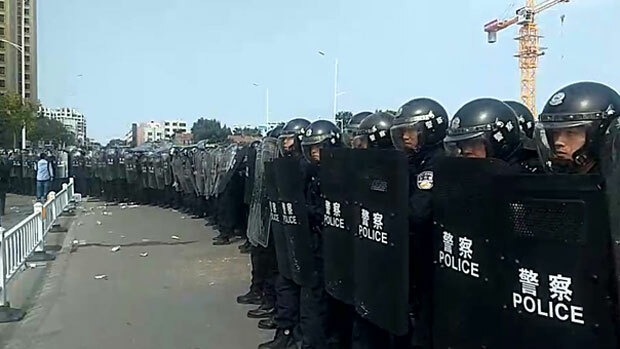 Video footage of the protests showed police in full riot gear backing off in the face of elderly men in camouflage gear wielding wooden sticks during the protests in Shandong's Pingdu city on Sunday.